$25.6 billion (that’s billion with a b). That’s how much economic activity the agriculture industry in South Dakota generates annually according to a new study published by the state’s department of agriculture. The 2012 numbers in the study reveal that the $25 billion plus generated by agriculture accounted for more than 30% the state’s entire economic output that year. That kind of economic activity creates a lot of jobs: 115,651 to be exact. That means one out of every five jobs in South Dakota had to do with agriculture. Crop farming was noted as the state’s most significant economic contributor totaling more than $13 billion and was responsible for over 70,000 jobs, 12.2% of all jobs in the state. The study also includes stats from the 2012 United States Department of Agriculture’s census, which shows that family farms continue to dominate the South Dakota countryside. From 2002 to 2012, the number South Dakota farms increased by 263 farms and the average size of those farms shrunk from 1,380 acres to 1,352 acres. The 50-page study, which was prepared by Decision Innovation Solutions with assistance from South Dakota State University and the United States Department of Agriculture’s National Agriculture Statistics Service, goes into great detail showing readers a number of breakdowns by county including jobs and economic output derived from crop and livestock agriculture throughout the state. 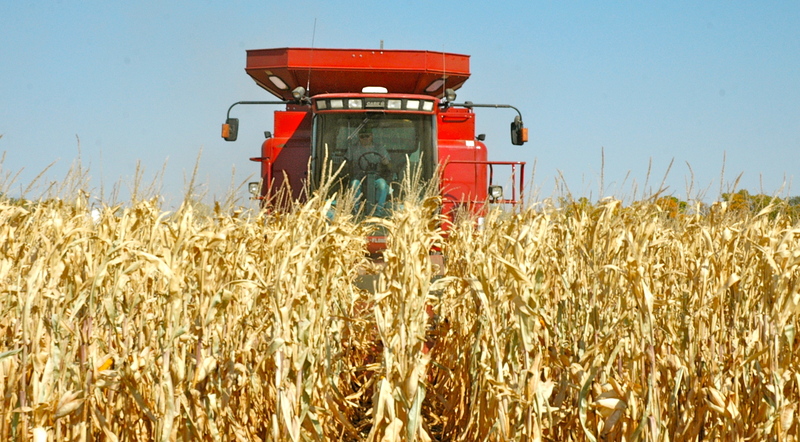 This entry was posted in News and tagged agriculture, corn, economic impact, farm, farmer, South Dakota.